More businesses today are using social media than ever before. In fact, one study by Manta showed that up to 90% use social networks for one reason or another. For those who have not gotten involved in this aspect of marketing, they may need to rethink their strategy. Businesses cannot overlook the fact that they operate in a social world. People are online to do research, connect with others and just to hang out. If social networks are where people are spending their time, then that is where businesses should be, too. The reasons vary as to why businesses are online. Another study done by Social Media Today, SAP and Pivot showed that up to 71% of companies are using it for customer service. Improved response time is often the focus and the majority of businesses respond within the same day on social media. A survey conducted by CareerBuilder showed that 35% of companies are using social media to find new clients or to promote the business. They use this avenue to promote their brand and awareness to customers. A smaller percentage even uses this method to recruit new employees. One of the great things about social media is its flexibility. Everyone can get online even if they don’t use it in the same way. These studies show that networking online can mean something different to each company. As the article, “3 Great Tools to Automate Your Social Media”, says, if your business is not already on one of the major social networks, you are behind the competition. More companies recognize the value of developing a presence through social networking. Two major reasons are pushing them forward. First, using social media is a cost-effective approach. It doesn’t cost as much as traditional advertising and it yields better results. Instead of promoting your business to the masses on television, radio or through print ads, you can target those who are really interested in what you have to offer. The second reason social media draws companies in is because of its effectiveness in improving customer satisfaction. Customers like to know they are important, that they are being heard. 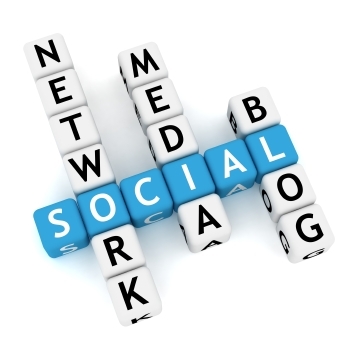 Social media is a two-way communication when done correctly. When a customer asks a question through social media, the company answers. When they have a problem, everyone finds out about it and many times it is resolved. Everything that happens on social media is available for others to watch. Many customers believe this makes the business more responsive and accountable. Businesses use social media for many reasons. In addition, they choose the platform that seems right for them. While Facebook and Twitter are the two most popular, other companies lean towards Pinterest or LinkedIn to get the results they want. Because it is versatile and effective, every company or organization should consider why it is not involved if it has not already developed a social presence. The benefits far outweigh the time involved and it is obvious to most companies that social media is here to stay. About the Author: Joyce Morse is an author who writes on a variety of topics, including SEO and small business. ← Are Happy Employees Better Workers?